There is no lack of action when Allied agents plan and execute high risk operations to free hundreds of Allied prisoners of war. Tension builds as Jon Preston and his King Cobra team agents raid Japanese prison camps where Allied prisoners are being systematically exterminated by an illegal biological and chemical research program conducted by a secret Japanese Army organization called Unit 731. 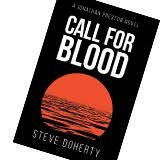 CALL FOR BLOOD takes readers into the seldom discussed world of crimes and atrocities committed by the infamous Unit 731, as the daring agents set out to prevent further experimentations and deaths of Allied prisoners, and gives readers a front row seat for one of the most fascinating dramas of World War II.